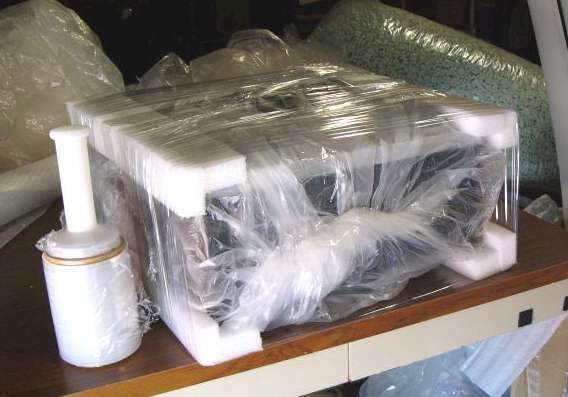 The goal in any packing job is to ensure that the item arrives completely intact, both externally and internally. dropped or handled roughly (both of which WILL happen regardless of the carrier). prior to nesting it in a box of packing fill. The corners are already cut to length and only minor trimming, if any should be required. 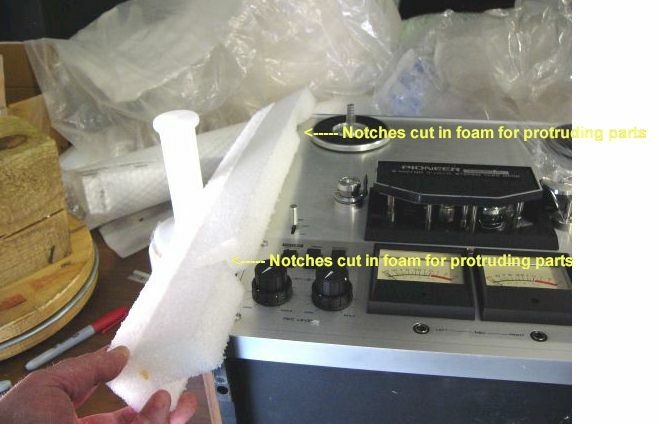 If it seems a piece of foam is "way off" on it's length, then you likely are trying to install the wrong piece of foam for the position. Things not supplied are packing tape and 'stretch film'. These are both generally available at most 'office supply', 'home improvement' stores and other retailers. To start, AC cord is stretch filmed (supplied) to safest, recessed area. 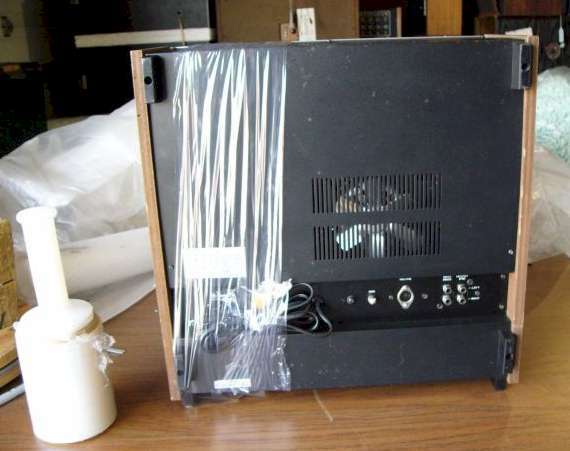 If AC cord is detachable, remove it and attach to side of wrapped unit later in process. 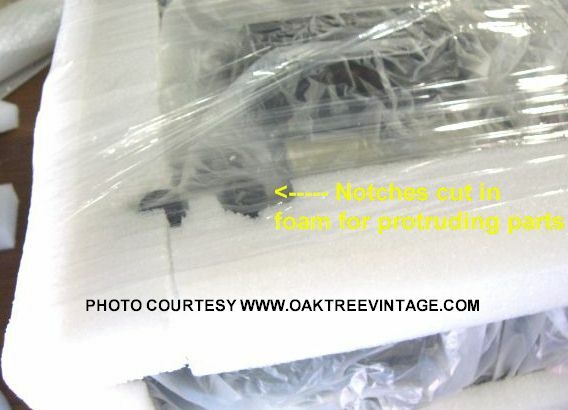 Prior to bagging unit, cut notches in foam corners (supplied) for protruding parts, and mark them as to location (the notches may already be cut so check all pieces to see if one makes more sense than another in a location). 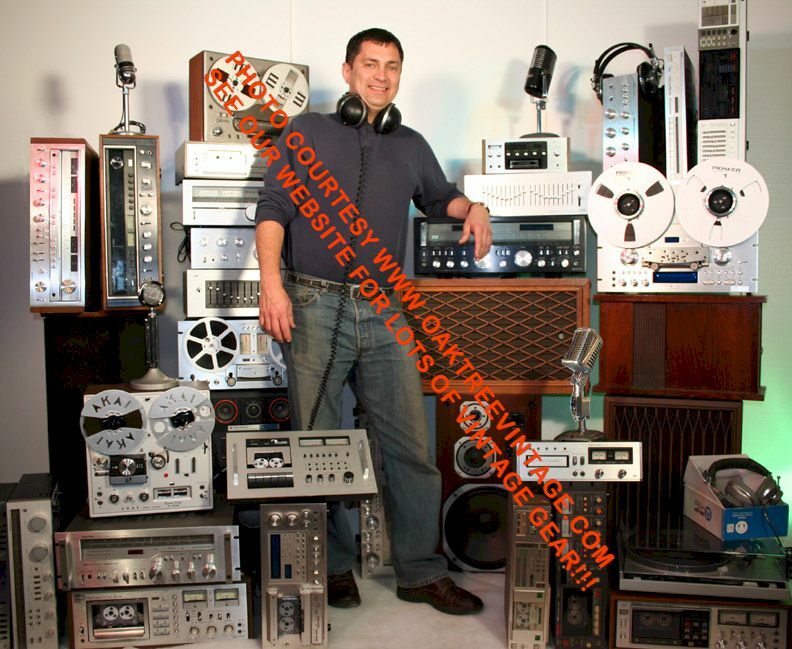 must be protected at all costs, as well as any protruding controls and plastic feet / skids on the bottom. 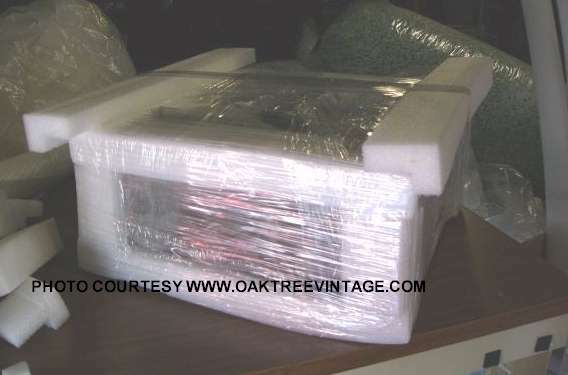 Bag the unit prior to wrapping in foam corners, as foam will react with many finishes and melt itself to it. 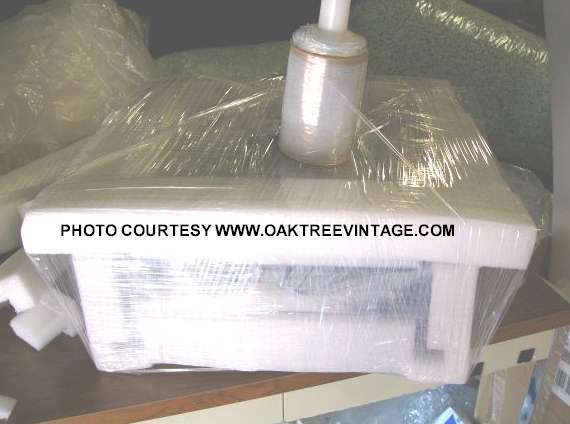 This also keeps out loose fill packing particles. 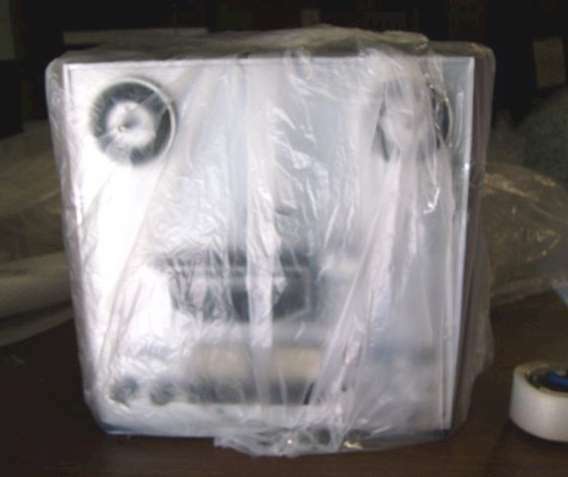 Be careful handling the unit at this point as it will be slippery in the bag. A few wraps of stretch film at this point is usually helpful. This is the first layer of foam corners held in place with temporary tape. 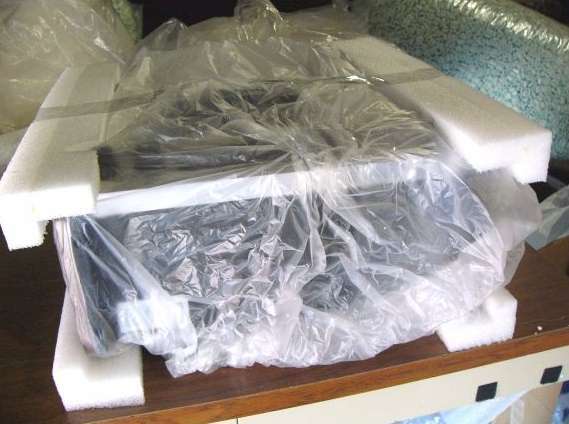 The foam corners are held in place with tightly wrapped stretch film. 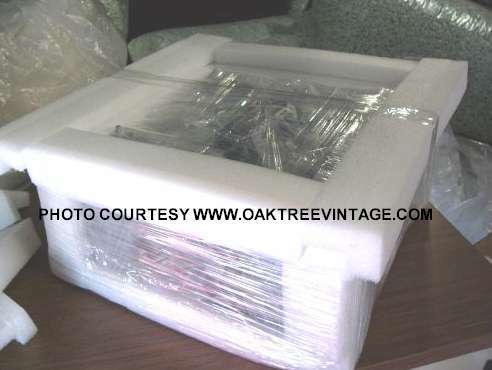 Additional top, bottom and side foam corners are added and held in place with tightly wrapped stretch film. This will completely "cage" in the unit. 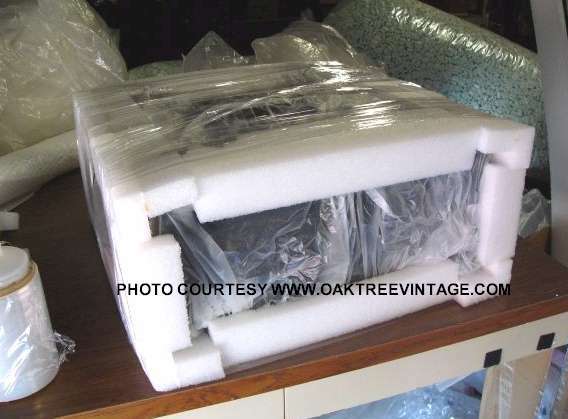 Make sure the pieces of foam are up against the edges correctly and not angling up or riding over an edge prior to wrapping with stretch film. 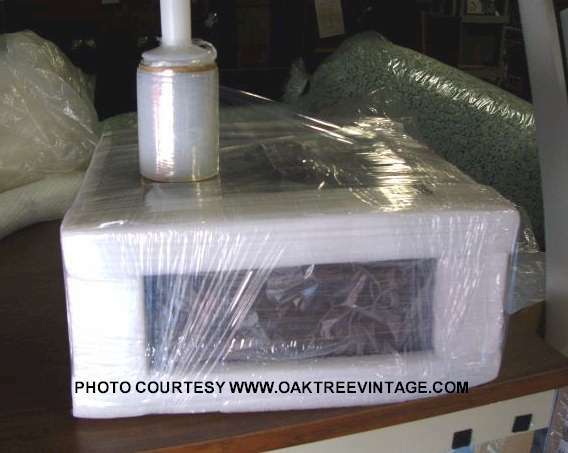 This is the first layer of foam corners wrapped tightly in stretch film and again, completely "caging" the unit. Now a second layer of foam corners is added over the layers on the front of the deck to elevate the surface of foam well above the spindles. A frame of foam corners around the front is completed, "caging" the FRONT of the unit. 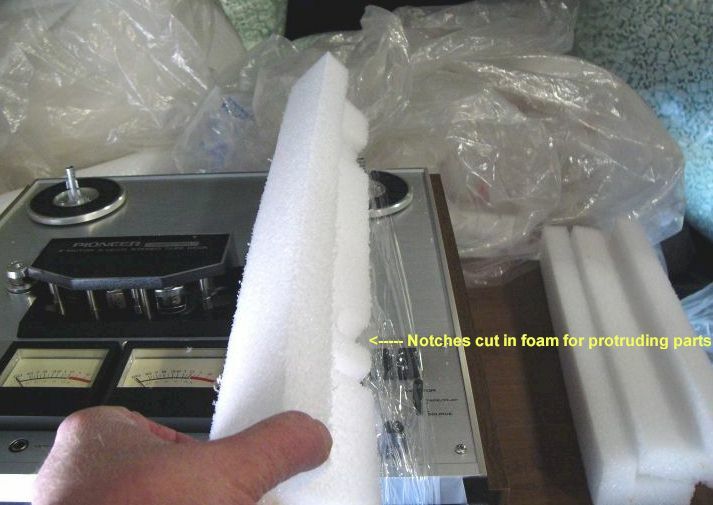 (If you look near the left, front corner of the foam, you can see the reel spindle tip sticking up, but still below the surface of the foam and the only thing touching it is the plastic bag). This is the second layer of foam corners framing the front again, wrapped tightly in stretch film. 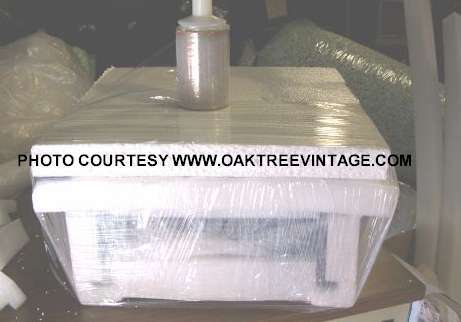 A 2" foam board plate is laid on top of the foam corners to completely cover the front of the unit, again, wrapped tightly in stretch film so that the deck and all packing become one solid unit. This foam board will be above all the protruding parts of the front of the deck, due to the second layer of foam you built up earlier. 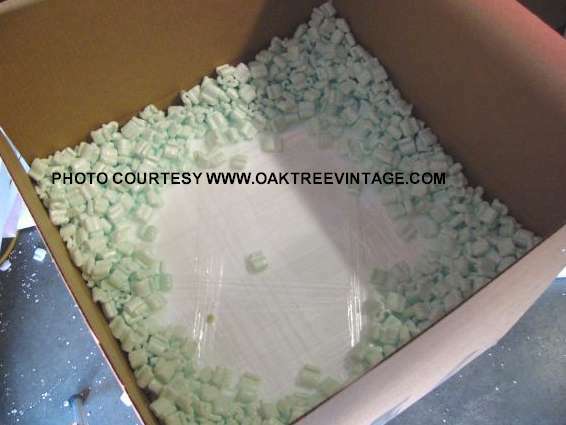 The completely foam housed unit is suspended inside the box (supplied) of foam fill "peanuts" (supplied). There should be about 2" around every side (top, bottom and sides). If there are any reels, they can be stretch filmed to the "sides" of the unit if they are in boxes. If they are not, then they should be shipped separately as they will get bent / warped if shipped with the unit. The box should be sealed very well on all seams and across the top in at least 2 directions with packing tape (not supplied).